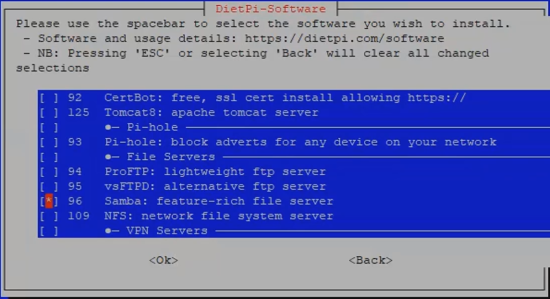 In this segment we are going to "Install NAS Server on Raspberry Pi 3 Model B+ using DietPi"
Once, we connected to the DietPi then it require us to change the Root Password and Unix Password. I recommend you to put same password on both places. 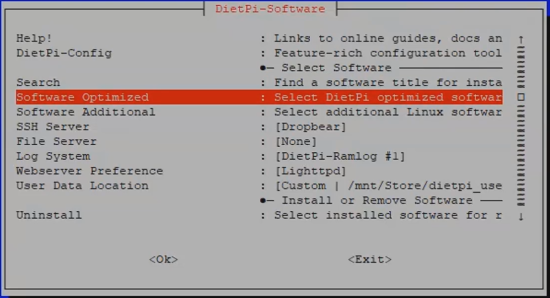 After you logged in to DietPi, then you need to type a command to access the dietpi-software. This command will open the DietPi Luncher, for us and from here we need to select Software Optimized and press OK.
Now, we need to navigate to Samba : Feature-rich FIle Server and press Spacebar to select it and press ok or Enter from the Keyboard. Now, we need to navigate to Install and press OK. After that installation will take around 5-10 min to complete setup. Once the setup complete the system will reboot to finalize the settings and you are ready to use your DietPi Samba Server Image. 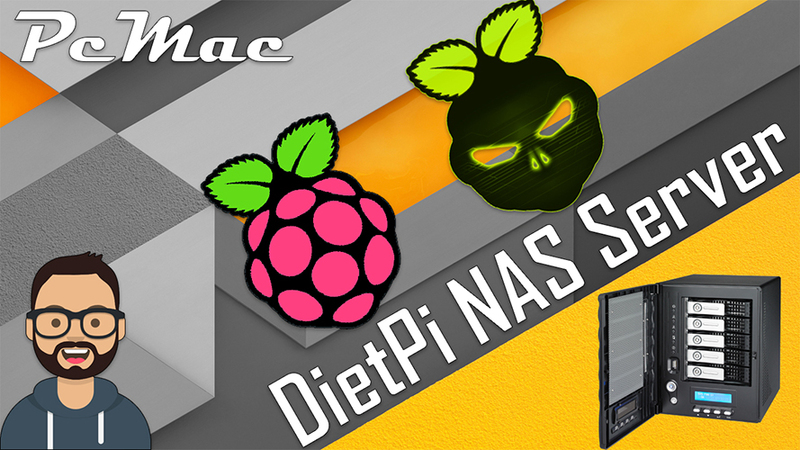 Now, You are ready to use DietPi on your Raspberry Pi 3 Model B Plus as NAS Server. In future we are going to install other packages and check their working on DietPi. Enjoy using it and share your thoughts.